We arrived at Disneyland on Saturday around lunchtime. We had decided to save the cash and not even go to the parks--I had been there pregnant quite a few times already and it just didn't make sense. First stop was the expo to pick up my bib and swag bag. It was pretty empty, so that was nice, but there was nothing left. 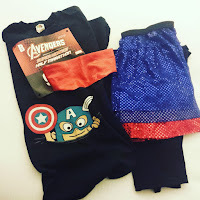 I thought maybe I could get some Christmas shopping done, but nope, that wasn't even an option with how picked through everything was (I was looking for just some generic runDisney stuff-not even the Avengers swag, which I knew would be gone). It wasn't a huge disappointment, as I knew that finding anything would be difficult so late in the game. I was, though, super disappointed in the speaker series! This was one of the things I would have liked to do. Since we didn't have theme park tickets, I thought we could spend the afternoon listening to speakers. Not so much. We ended up having lunch and browsing shops at Downtown Disney before heading back to our hotel. Not crushed, but just kind of blah. For a pleasant bonus, we got to our hotel and were upgraded to the Presidential Suite--this room was seriously bigger than our house! It made the perfect excuse to stay in, order some food, watch some TV and rest before the race. Ironically enough, I did NOT sleep well in our beautiful suite. I probably knew what the next day was going to bring. 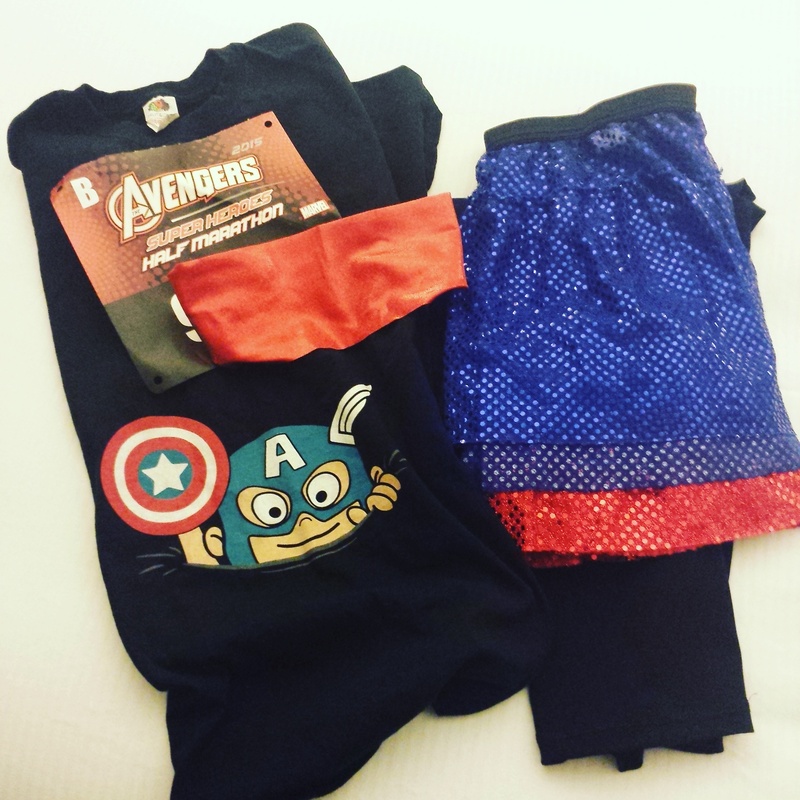 In typical runDisney fashion, I was up early, costume on, taking pictures, and ready to roll. I was in corral B, so when we got to the race, I promptly lined up at the very back on the right side. My plan was to do 30 second run, 1 minute walk intervals to try and give my pregnant self a break. 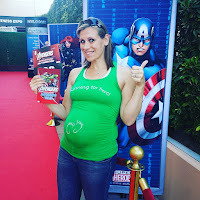 I definitely set myself up for disappointment, though, as I hadn't trained well and the last few weeks have been really tough as far as feeling "pregnant" (tired, big, tired, achy, and TIRED). The race started late, which is not typical of runDisney at all. It just added to my bad attitude that morning. I started out with a 30 second run/1 minute walk interval. I felt fine for the first 4 miles. I even met another running mama-to-be, who was probably a lot smarter than me and was walking the entire race. I was maintaining an easy 12:30 pace, but at around 4.5 miles I had the most excruciating pain in my stomach. As I'm writing this, I haven't been through labor yet, though, so I'm sure this "most excruciating" will soon be replaced! I was tempted to pull myself off the course and for the next mile slowed to a snail's pace of walking. I debated for about half an hour on what to do, but since there was no medic tent in sight, it gave me enough time to walk it off and feel better. I wasn't about to chance starting to run again, so I decided to walk the rest. The course was definitely my LEAST favorite of all the Disneyland courses. There is way too much time on narrow, dirt and gravel paths, and seeing as I was walking, I constantly felt like I had to walk so far right that I was tripping over everything on the path. Runners also were coming up around me on the right, which I absolutely HATE. I get it, you're running, I'm not, but I'm also trying to be as courteous as possible, so when you fly around me in the 6 inches of space on my right and almost knock me out, I start to get a bit irritable! The costumes were kind of "eh" on the course, so it didn't give me much to look at. Soon enough I was nearing the finish. I had been out on the course almost 4 hours and I was done! My hubby was waiting right before the finish line, and asked "How do you feel?" My answer--I'm bored!!! The family standing next to him so sweetly started cheering for me. I didn't feel very cheery, but it was so nice of them to encourage me at the finish. Overall, this was definitely my least favorite Disneyland race. I'm not a big Avengers fan and it was a recipe for disaster from the start. 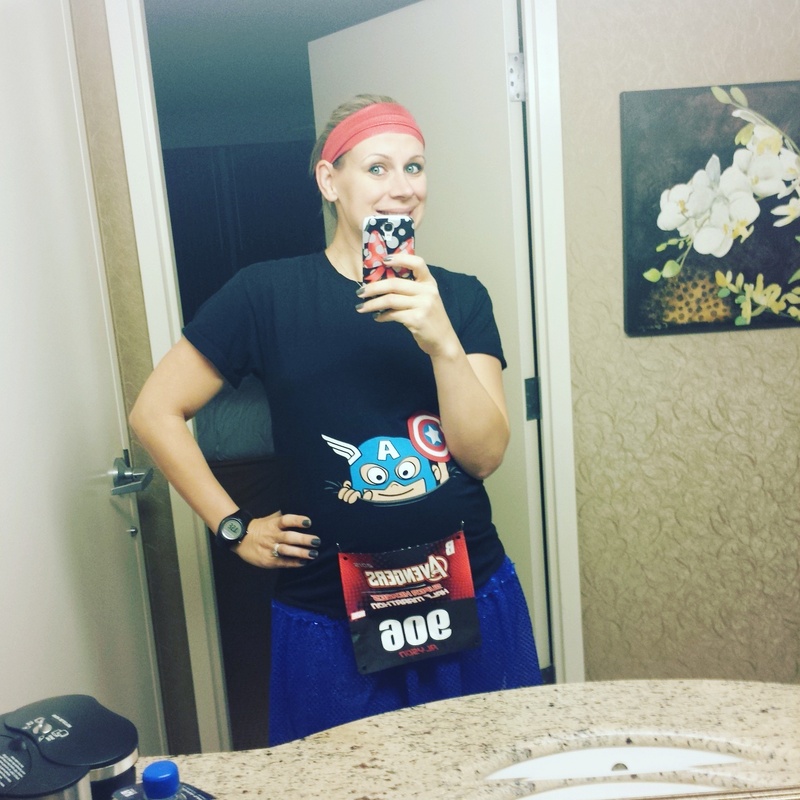 I'm still glad I did it, though, because I really do want to run all the races someday. I don't want to say I'll never be back, but this won't be on any of my must-do lists in the next few years for sure. On a happy note, up until this point Baby S had been breech. I have come to assume that the miserable pain that I felt at mile 4.5 was my baby flipping to get head down and ready for birth. Crazy, I know! When other mom's to be ask how to turn a baby, my answer is "run a half marathon". Guess that won't work for most mamas, but at least it did for me! See, the moral of the story is runDisney makes everything better, even if you don't know it at the time! Have you ever run Avengers? What was your thoughts? Am I being too harsh? I did Avengers last year and it was just okay. 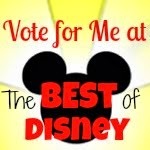 Disney really didn't seem to put much thought into the characters, since there are really only four with the theme. We stood for a while to get a picture with Thor, bypassed Black Widow and Hawkeye because they could really be anyone in black leather. I really wanted a pic with Captain America. By the time I got to where he was on Main Street in front of Emporium, they'd pulled him off the course because of line. The other huge problem that year was the Santa Ana winds whipping though. They knocked down mile markers and made the gravel path pretty miserable. It was okay once, but I'm done. 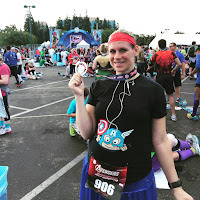 Your recap kind of brings out a lot of things that I'm really tired of in Disney races. I have Star Wars in January and Tink in May. After that, I may step back for quite a while. They're just not as fun as they used to be. Last year was definitely worse! I absolutely LOVED Star Wars, so that might help bring back some Disney magic to your runs, but hey, step back--running Disney should definitely be FUN. I'll be sticking to only 2 in 2016, but look forward to running more locally. Baby changes everything! 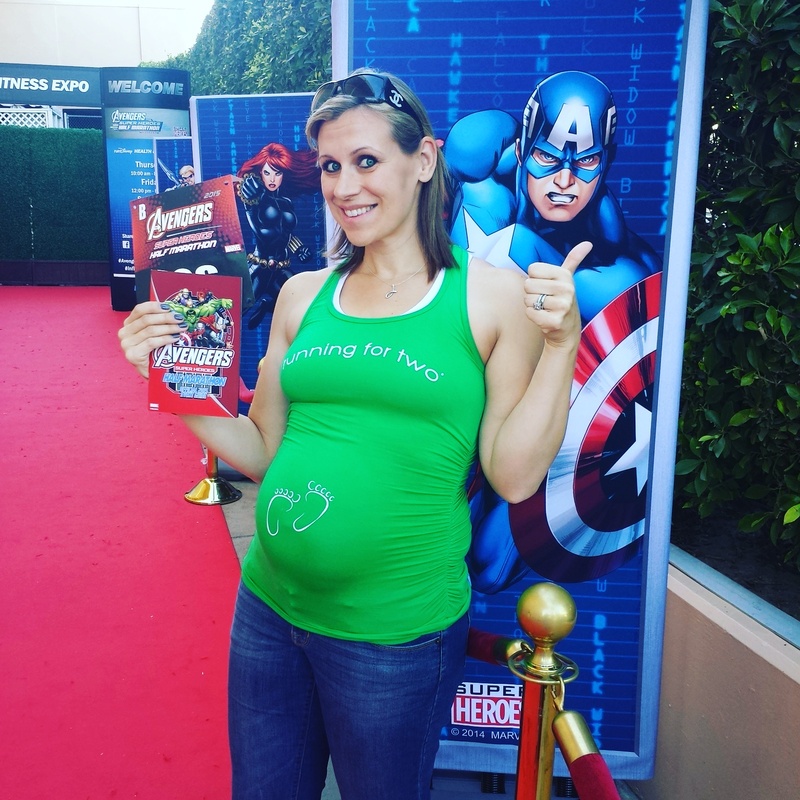 Pregnancy, Nutrition, and Running--Oh My! I've Been a Bad, Bad Blogger!